Geoff is a quantum physicist, working in quantum information, computing, measurement, control and optics. Primarily, he does experiments to explore the nature of the quantum world, and to develop the science behind the upcoming generation of quantum technologies. 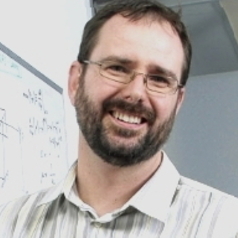 Presently, he heads the Quantum Optics and Information Laboratory at Griffith University. Prior to this, he was a Senior Research Fellow in the Quantum Technology Laboratory at the University of Queensland and before that, a post-doctorate in the Rufus Cone group at Montana State University. There, he worked on the dynamics of optical pumping and FM spectroscopy, and laser stabilisation to spectral holes in impurity-ion solids.